Students on the Ski trip were lucky enough to have another day of sunshine and lovely pisted slopes for their second day of skiing. They had a packed lunch up the mountain to enjoy the fine weather. The beginners have been developing new skills by learning parallel turns, side-slipping and skiing backwards! 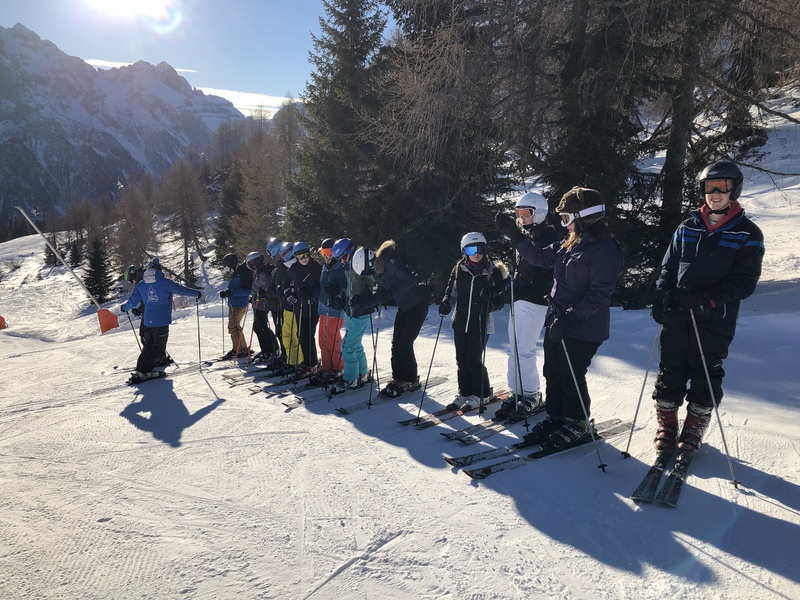 The intermediates have been improving their parallel skiing techniques and the advanced group have been skiing red and black runs and even learnt to ski without skis!